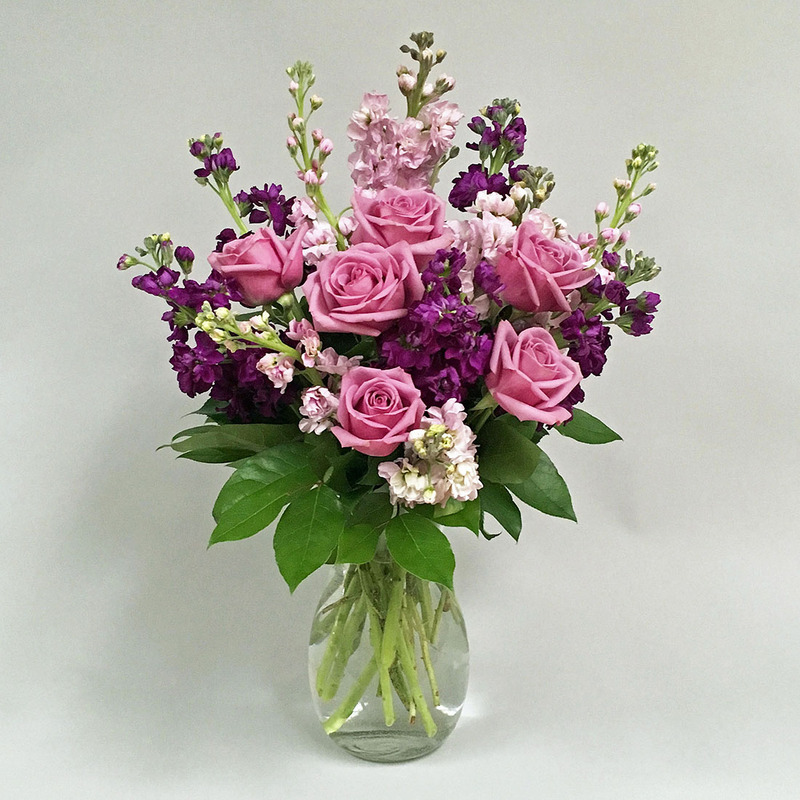 Three shades of purple stock in a clear vase with 6 lavender roses is all we have used in this all purple showing. If purple is your favorite color then this piece is for you. This will be a great addition to the kitchen island or the coffee table.